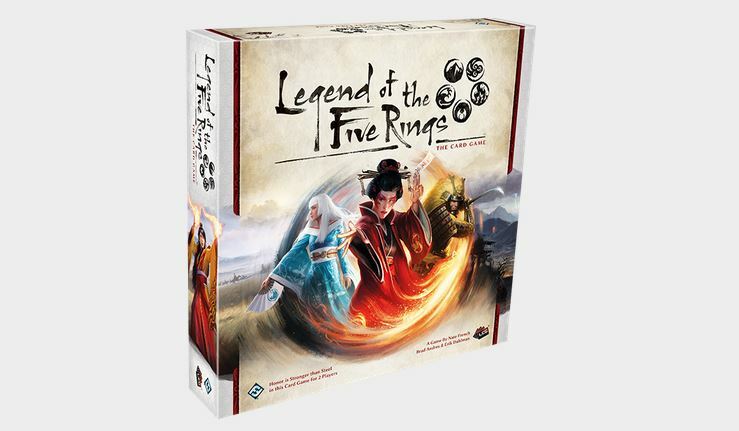 Another game that's recently had a bit of info posted about it, but I know a lot of you are clamoring for more, is the reboot of the Legend of the Five Rings card game, now being done by Fantasy Flight Games. Well, they've posted up detailed info about the first two phases of the game. Long-time players can get a look at what might've changed, and new potential players can see what they could be getting into. A foreboding air surrounds the Emerald Empire as the Great Clans of Rokugan remain ever vigilant for threats both internal and external. Those who serve the Chrysanthemum Throne must make sure they are well-prepared for the trials that face them; not just with warriors and courtiers whose stories become etched into legend, but with careful planning to ensure their goals come to pass without staining their honor. Today, we’re looking at how to set up a game of Legend of the Five Rings: The Card Game as well as the first two phases of a round: the dynasty phase and the draw phase.